February is the month of love and if there’s one thing we absolutely love at Vending 4 You it’s coffee! 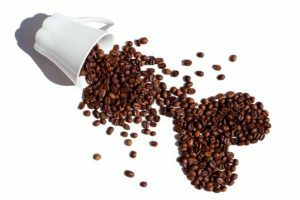 We’re not alone as a report from the British Coffee Association (BCA) has revealed that the UK’s coffee consumption soared to 95 million cups a day in 2018, up from 70 million in 2008. That’s a whopping increase of 25 million cups of coffee per day over the last 10 years! For Valentine’s we wanted to share five fun facts about our favourite drink. According to recent statistics, over 57% of coffee is drunk at breakfast; 34% between meals and 13% at other meals. So make sure your Valentine’s day is kicked off in the right way with a decent cup of coffee! Want to wow your Valentine with an expensive cup of coffee? The world’s most expensive coffee is £450 per pound. However, if you want to impress your loved one, you might want to think again. This pricey coffee actually comes from the faeces of a Sumatran wild cat! The animal — called a Luwak — is unable to digest coffee beans. In the process of digesting the beans, they are fermented in the stomach. When the beans are excreted, they produce a smooth, chocolaty coffee. Erm, we think we’ll pass thanks! Turkish bridegrooms were once required to make a promise during their wedding ceremonies to always provide their new wives with coffee. If they failed to do so, it was grounds for divorce! (We quite like this promise)! It’s all in our senses as our sense of smell, more than any of our other senses makes our final judgement on coffee, so make sure you pick the right blend. Coffee is also an aphrodisiac! The drink is essentially the world’s most socially acceptable stimulant. Scientific studies demonstrate that this stimulant can increase levels of dopamine, the neurotransmitter associated with the pleasure system of the brain, which enhances your mood. So grab yourself a cup (or two) of your favourite coffee this Valentine’s and enjoy your day. 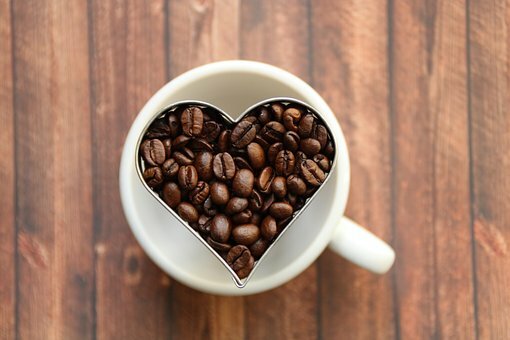 You can also discover how coffee can raise spirits in the workplace in our previous blog and show your employees some love this February.